I can not feel the difference between genuine parts at all, it was very cheap and saved. This review is about item#76234514. 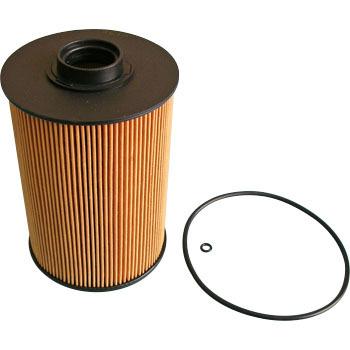 As well as the product number and manufacturer name in the list, if you can display the outer diameter and height of the filter as well as the list of the oil filter, thank you for your consideration for improvement. This review is about item#39263682. It is a cheap price but it is a reliable wearing and very reliable item. This review is about item#76234566. Although the price is cheap, it can be used without particular trouble. Because genuine is expensive, it will be cost saving and it will be saved. Although it is for construction machines and agricultural machines, it is the same type as the fuel filter of Hiace Regius made in Heisei 1997 so there is no problem using it. This review is about item#39263637. Since genuine products are expensive, they are cheaply available and are saved. Since it is a disposable part, quality is no problem. I used it until clogging in the past, but it is cheap enough to exchange regularly. Troubles can be avoided so it is extremely helpful. This review is about item#39263655. I exchanged the Fuel Koshi element of the tillage machine about 30 years ago. Although it seems to be exchanged every 600 hours, I purchased it with a monotaro and used it for 3 years. Even cheap enough to use it. I also would like to purchase it next time. This review is about item#76234557. You can buy it at a charge of about 1/3 of genuine. Although it was heavy snow, because of clogging of the filter, I was in trouble due to engine malfunction, but it got help earlier arriving at hand. Moreover, the quality is genuine equivalent and there is no problem. It was saved less cheaply than a farmer 's cooperative I would like to continue using Monotaro in the future. This review is about item#76234532. Immediately after purchasing a tractor, I used diesel containing water and thought about how to purchase parts, but I finally found out. It was able to be used for WS 300A. I think there is no problem. Reasonable and very good. Quality is also good. This review is about item#76234462. This review is about item#39263691. This review is about item#39263716. It is cheaper than genuine but still expensive. This review is about item#76234672. I am trying to use it as a genuine product as usual. Since it is a thing to use frequently, it is appreciated if there are 10 pieces etc. It is the same as ordinary ones. It does not change with genuine products. It is very cheap because it is cheap. I was able to find a suitable one without making a mistake even when the product dimensions are properly displayed and the genuine part number is unknown. Thank you very much Mr. Monotaro.